This week see’s the release of the talks* presented during the Meaningful Interaction session. To view these talks please click here. For guidance about the session 2 talks please consult the abstracts listed below. This entry was posted in News and tagged bbiCHI2011, fnir, meaningful interaction, social adaptation on June 1, 2011 by Kiel Gilleade. The submission deadline for the CHI2011 workshop Brain and Body Interfaces: Designing for Meaningful Interaction is next Friday, 28th January 2011. 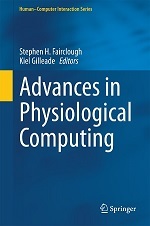 Paper submissions are to be e-mailed to submit (at) physiologicalcomputing.net. For any queries about the workshop please contact me at k.m.gilleade (at) lmju.ac.uk. This entry was posted in News and tagged bbiCHI2011 on January 21, 2011 by Kiel Gilleade.